Welcome to Pot of What! 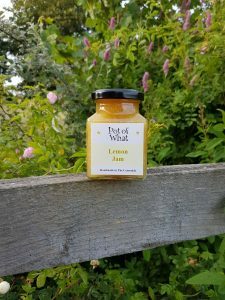 Delicious handmade preserves produced in small batches in our kitchen in the Cotswolds, using traditional open pan methods to ensure the natural flavours are maintained. Where possible we like to use our own home grown produce and locally sourced and foraged ingredients. Our products are made using unrefined sugar and are free from artificial flavourings, colourings and preservatives. We use high quality balsamic, red and white wine and cider vinegars in our chutneys and pickles (we keep the malt vinegar for our chips!) All of our products are suitable for vegans. We can be found at various events throughout the year and at selected stockists. If you are interested in stocking any of our products or would like to know about our catering sizes, please contact us, we’ll be happy to help!